A note from Jub: The following is a guest post from James of From Boothferry To Germany. Currently exploring and writing about Football culture in Indonesia, he took some time to write this post to ensure you stay aren’t the disrespectful tourist when watching a match in Western Europe. possibly do on the continent. You’re connecting with the locals, supporting their community and getting a legitimate feel for an important slice of European culture. But within the European Football fan communities, there is a lot of heated discussion and concern regarding “Gameday Tourism”. Foreign interest in the Premier League, for example, is seen as a contributor to the declining atmosphere inside many stadia; tourists travel thousands of miles and cough up to see one of the big teams play, denying the chance for poorer locals to buy a ticket. The visiting fans spend their time Googling player names and taking selfies instead of singing the chants and performing the fan customs, resulting in increasingly dull atmospheres. passions in life if tickets are sold to thousands of visitors each game and prices gradually inflate. invitation to spend time with them outside of the stadium. 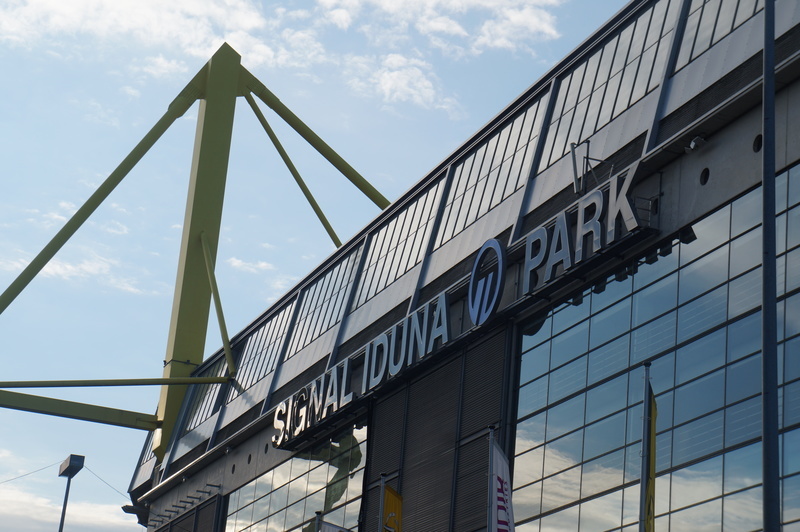 We at From Boothferry To Germany have been there and done that with regards to watching football and understanding the dos and don’ts of catching a game as a tourist, both as passionate fans who meet first-timers on our turf and as visitors ourselves to new stadia. 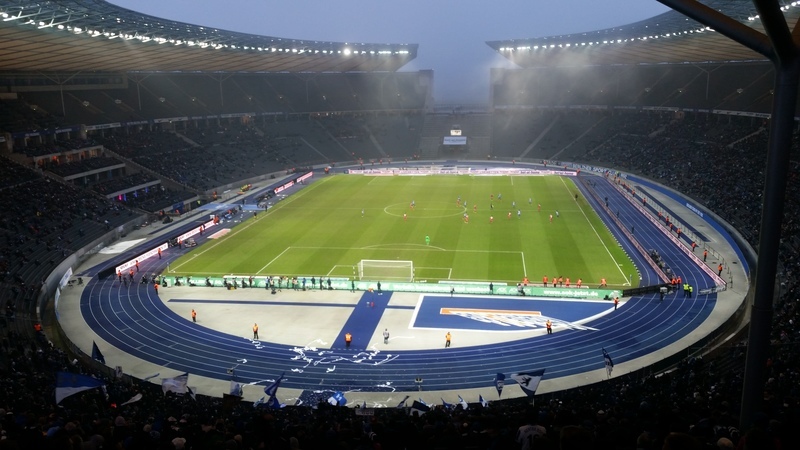 Here is our top tips for a trip to the Footie. Enjoy. are pretty much always safe for visitors on match day. A quick read on Wikipedia and a look at the league table and recent matches will help you understand a little more about what the fans are going through. Memorise the names of the club captain, the manager and a couple strikers. Make sure you know who the opposition are on the day. Get the stadium name right. Find out who their big rivals are. All this may help impress regular goers you meet. Outside many grounds street vendors sell team merch including t-shirts and scarves at good prices. to your bedroom wall when you get back home. hour inside a giant concrete bowl. years, regardless of the distance or how the team performs. They deserve the respect of fellow fans, and ultimately their sector of the stadium is where they can congregate and be themselves. Be careful; a tourist going into the Ultra block can feel like a stranger walking into your bedroom and expecting hospitality. A foreigner openly taking photos inside their zone will be treated with zero tolerance. Do yourself a favour and ask for a “quieter” sector when buying your ticket. This is the most important one. We really don’t want you to get beaten up. It is bad form to spend the whole game photographing instead of actually enjoying the sport. If you’re going to take a couple (and you probably will want to), do so before the game. Do it before the players walk out onto the pitch, or if the fans have prepared a choreography, get a quick snap of that. Then stick your iPhone back in your pocket and enjoy the game like the rest of the decent folk around you. You will look like an absolute prick. It is the signature of the self-obsessed tourist who is more interested in social media likes then the history or significance of whatever they are visiting. The same is true in Football. Fans around you won’t respond well; it shows you only regard their club, their stadium and their tradition as nothing more than a background for yourself. Travelling back to the city from the stadium is never fun and always long. If you’re taking public transport, prepare for long queues and a lot of standing. If you’re travelling by car or taxi, go to the bathroom before you get in. Basically, you don’t know how long it will take to get away from the stadium and get to wherever you need to go. So don’t tell your Tinder date you will meet him/her at 18:30. 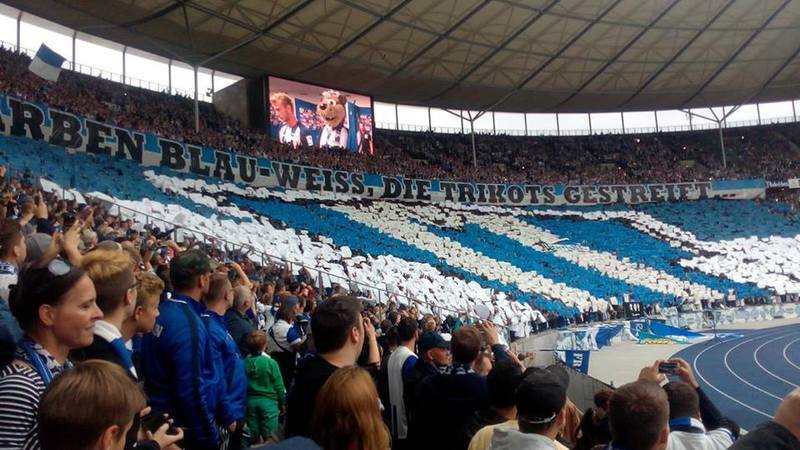 Thanks James for the sweet tips on heading to the football in Western Europe (and supplying the photos). 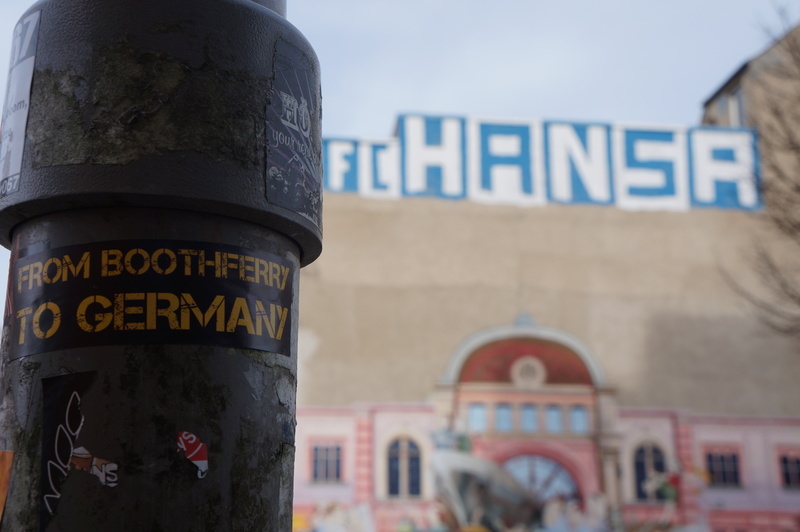 If you’re a fan of football culture, definitely jump over to the From Boothferry To Germany blog for the latest adventure. Your Turn: Do you agree with James? Anything he missed off the list? 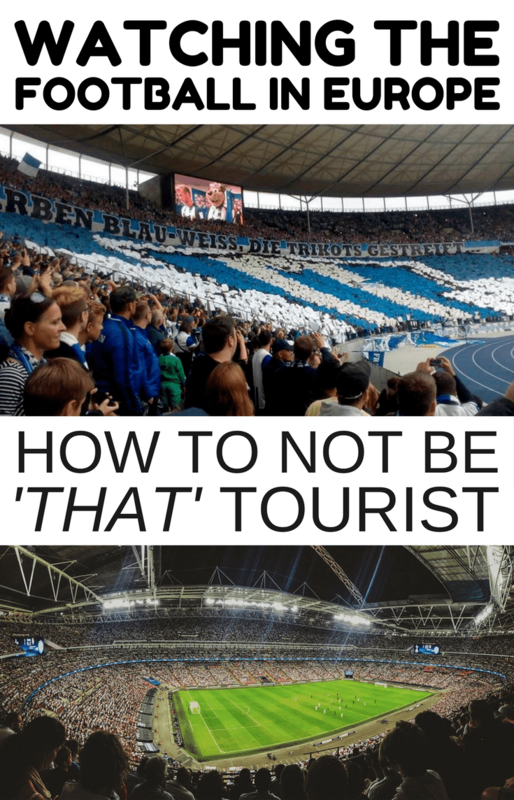 Great advice on the Ultras section, especially for, erm, non-European looking visitors. Nationalist pricks tend to congregate with the ultras of just about every club, and it’s impossible for non-residents to tell which clubs are safe from xenophobia. James, loving this post title. Jub, I love the concept behind your blog. How neat? It is so creative and covers a 1 of a kind niche. Well done dude. As for watching soccer in Western Europe I feel you have it covered. Especially not doing the selfie stick thing. I imagine them being banned soon, as Man U banned iPads years back when folks were taking iPad selfies left and right. My rule of thumb; if you take a selfie make sure few folks are around so you are not blocking views, distracting, etc. Lol ipad selfies at the footie…that is ridiculous! Commonsense should prevail really right? Watching a football game in Europe is one of my long time dream. Thanks for sharing this post….Very interesting and informative. Useful for my future visits. Who did you watch in Spain? Would have been awesome no doubt! Jub, what time do games tyoically start and end? I looked at a few Bundesliga schedule for this past season and it seems they all started early and sometimes as early as 9:30 am. I saw a Friday game started at 2:30pm Is that correct? It seems awfully early. Thanks! They all started like 8pm – 9pm? Maybe Google was already accounting for your time zone? Watching football in Europe (Specially in Spain ) is my one and only dream since childhood. I want to watch Real Madrid play live at least once in a life. Thank you for this great tips. Very helpful.